Healthy eyes are vital to your vision, overall health, and well-being. 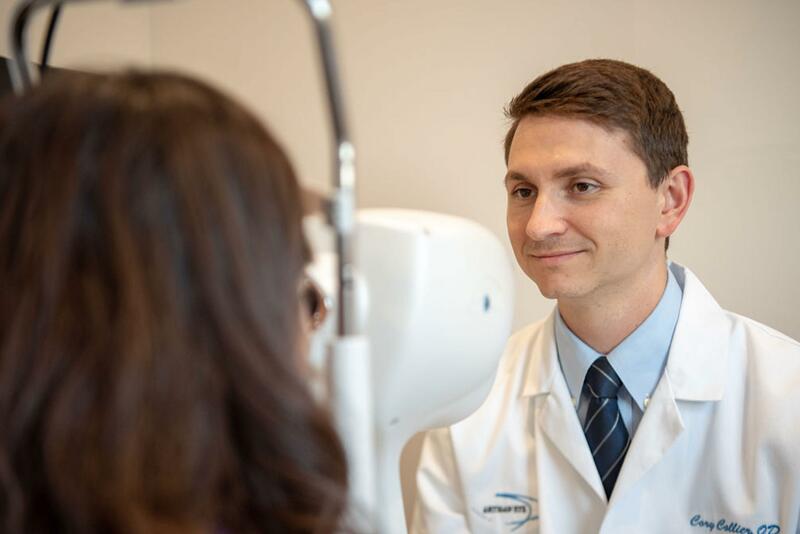 If you have an eye disease, highly skilled optometrists Kara Collier, OD, and Cory Collier, OD, at Artisan Eye in Lakewood Ranch, Florida, can help. They use advanced in-office technology, together with their clinical experience, to diagnose and treat eye diseases. If you’re living with an eye disease and need thorough, effective and compassionate treatment, or you simply want a preventative wellness check-up, request an appointment online or over the phone today. What eye diseases are managed at Artisan Eye? Corneal diseases including Keratoconus and Pellucid Marginal Degeneration. When necessary, the doctors at Artisan Eye work together with skilled surgeons in the community to comanage patients requiring surgical treatment. Why is early detection important for eye disease? Like other diseases that impact our body, early diagnosis is key in the treatment of eye disease. While some conditions that impact our eye health may cause symptoms such as blurry vision or discomfort, many eye diseases have no symptoms in their earliest stages. Early diagnosis can help protect your vision and allow for a greater range of treatment options. 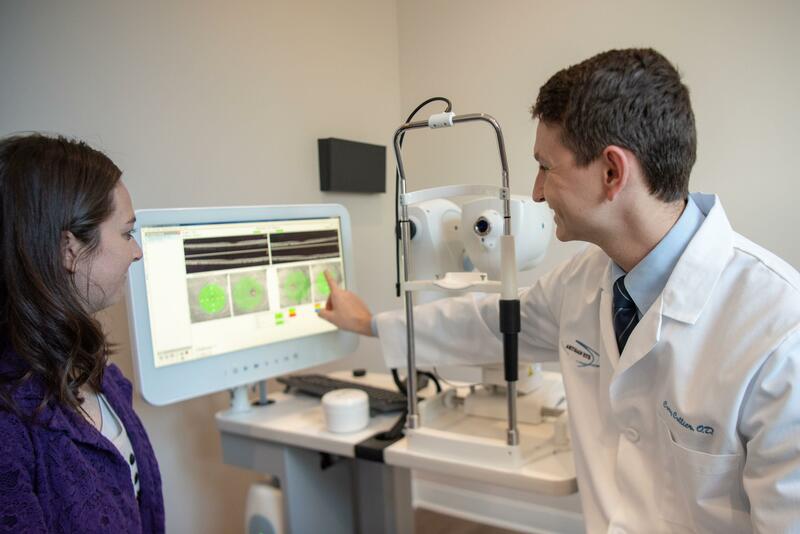 The doctors at Artisan Eye pair their clinical experience with cutting-edge technology, allowing for the early detection of eye disease. Artisan Eye offers comprehensive eye exams that screen for a wide variety of eye diseases. Our doctors pride themselves on providing detailed, patient-focused exams that result in treatment plans designed to meet the needs of each individual patient. How does technology help diagnose eye diseases? A-Scan: Uses ultrasound technology to measure the length of the eye. To learn more about ocular disease management or to have your eye health examined, request an appointment online or over the phone with Artisan Eye today.